To understand the issues related to fungal sinusitis, it is necessary to learn what actually fungal sinusitis is and here, you will read detailed information about fungal sinusitis. Like other types of sinusitis, fungal sinusitis is also a nasal problem that causes breathing issues and inflammation to sufferer. Though, its symptoms and treatment are not same as acute or chronic sinusitis. 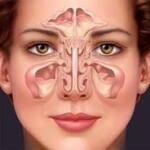 Fungal sinusitis occurs when there is fungus inside the nose. Along with fungus, thick secretions and nasal polyps also present in the nasal when one has fungus sinusitis. Indeed, in fungal sinusitis, the sinuses become completely blocked with fungus and nasal polyps. With the help of x-rays, one can see the clear view of sinus blockage. It also enables one to see proper bone mass thinning. Usually, fungal sinusitis is categorized in three types which are chronic fungal sinusitis, allergic fungal sinusitis and invasive fungal sinusitis. When there is chronic fungal sinusitis, the problems starts in slow speed; however it is similarly destructive as invasive sinusitis. It occurs in bones as well as sinus tissues. The patients who suffer from chronic fungal sinusitis have fine immune system. The symptoms of fungal sinusitis are classified in two types – chronic and acute. The acute fungal sinusitis gets quickly entered into sinus tissues as well as bones. Generally, it targets people with weak immune system or diabetes patients. The severity of acute fungal sinusitis can be seen rarely. It mainly affects eyes, nervous system, tissues and blood vessels. On other side, in chronic fungal sinusitis condition, a person with normal immune system becomes target. There is hardly any difference in chronic fungal sinusitis to acute fungal sinusitis. The only difference is it advances in slow speed. 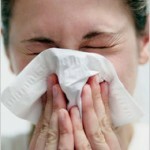 Moreover, the patients with chronic fungal sinusitis have to bear problems related for more than three months of time. Getting various chronic fungal sinusitis will be a good step to find relief from discomfort and related problems. If you have acute fungal sinusitis, then you may experience symptoms like numbness, coughing, pain, constant headache, facial swelling, fever and tiredness. Apart of these symptoms, you may also experience other symptoms like vision changes, nasal discharge, nasal ulcers and mental status. On other side, in chronic fungal sinusitis, the foremost symptom is congestion for long time. Except it, chronic fungal sinusitis symptoms can cause issues like pressure in the forehead, eyes and nose and nasal drainage. It can also cause vision issue due to the fungi collected near the eyes. To be confirmed that you have problem of fungal sinusitis, generally doctors use biopsy or radiology. These are popular technologies so far. In this technique, a doctor examines infected or dead tissues, use thick mucus or mold spores. For this, he first examines the face and nose. Getting scans of face and sinuses ensure a doctor if he should use radiology or biopsy or not.